Crafted in Switzerland by Pilatus, with all the quality of service you can expect from Oriens Aviation. 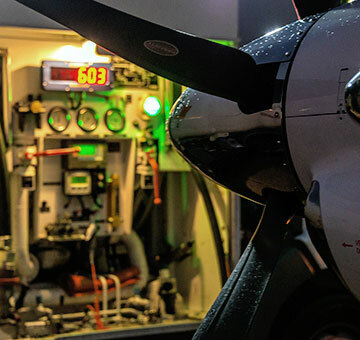 Whether you are looking for a new Pilatus PC-12 or the PC-24 Super Versatile Jet, a used Pilatus aircraft or maintenance for the one you already own, Oriens Aviation can meet your every need. As the main Pilatus Authorised Service Centre for the British Isles, we are on hand to offer the full spectrum of maintenance and warranty work. If you are looking for your new dream aircraft, let Oriens Aviation help you make it a fun and engaging experience. As the Pilatus Service Centre for the UK and Ireland, we offer maintenance you can depend on (scheduled and unscheduled), warranty work and out-of-hours AOG support. From crewing and advising on the best base for your aircraft, to scheduling maintenance and taking care of compliance, paperwork and flight planning. We’ve got everything covered. FOR COMPLETE PEACE OF MIND, LOOK NO FURTHER THAN ORIENS AVIATION. We can provide hangarage at our London Biggin Hill base, plus a full service capability including refuelling, out-of- hours movements, catering, valeting and all your handling requirements. We are ready and keen, to exceed your expectations! Crafted in Switzerland by Pilatus and brought to you by Oriens Aviation, we have a passion for flying, quality, value and exceptional customer service. Discover new places and find out where life can take you. More airfields. More places to enjoy. The British Isles has the highest number of airfields per square mile of anywhere in Europe, many of which are unpaved short runways. The PC-12 NG and the PC-24 Super Versatile Jet make it possible to turn this opportunity into tangible and practical versatility, in all the comfort, style, safety and dependability that their Swiss manufacturer can assure. If the Sport Utility Vehicle gave the people of the British Isles motoring versatility, Oriens Aviation and Pilatus does the equivalent for the skies. Swiss timepieces are renowned for their inherent quality, exquisite detail, and careful craftsmanship. Their makers invest immense thought and countless hours thoroughly analysing every aspect of the instrument as they pursue ever higher levels of perfection. Pilatus bring the same attitude to the aircraft they build. It is Pilatus’ unwavering commitment to precision, to challenge perceived limitations, and to defy convention. This approach has been applied to building extraordinary aircraft for discerning customers for seventy-five years. Get more and join the conversation.